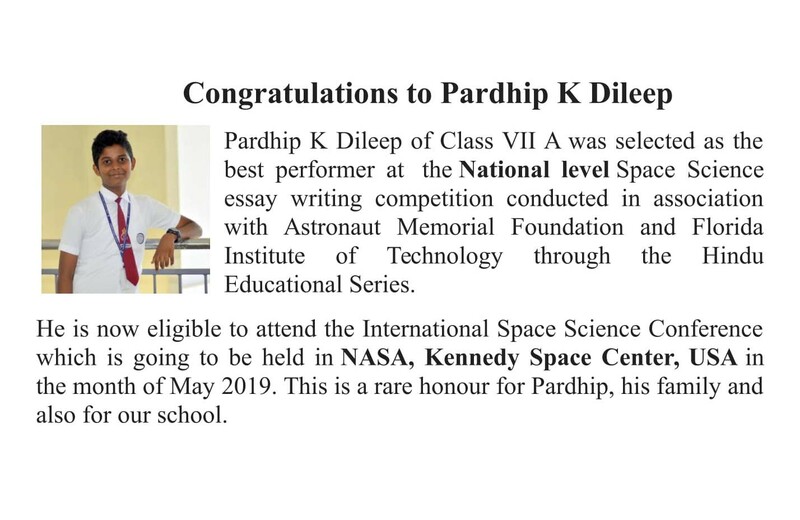 Thanmaya Manilal of VII B won the first prize for essay writing competition on the topic APJ Abdul Kalam- My Inspiration conducted by the The Hindu in connection with World Students Day. Mr. Saravan Kumar P, Asst Regional Manger, Circulation-TVM, The Hindu Today gave away the prize at our Principals office. 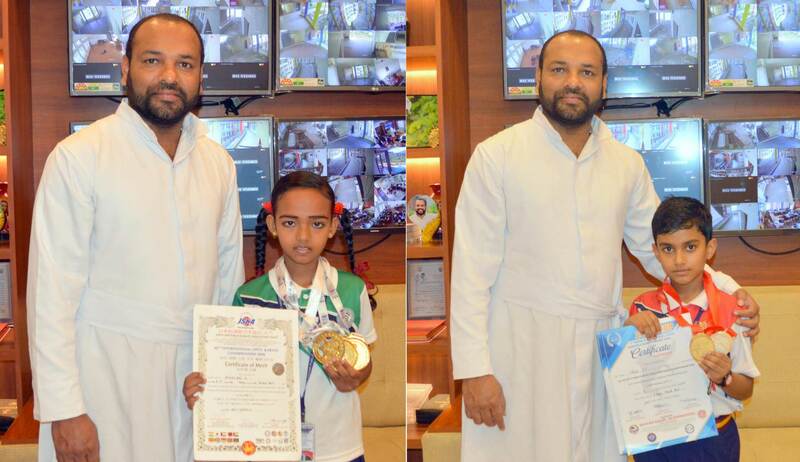 Adhish J T of III B participated in the 20-20 Cup 1st Kerala State Level open Shito-ryu Karate Championship 2019 (representing Alan Thilak Karate School, Attingal Karate Team) held at Jimmy George Indoor Stadium Trivandrum on 9th February 2019 and bagged the Gold Medal in the individual Kumite and Silver Medal in the individual Kata. Roopa Raj R of IV A participated in the 40th International Open Japan Shoto Khan Karate Championship 2019 (representing Alan Thilak Karate School, Attingal Karate Team) held on February 9th & 10th at Anna Stadium, Ooty, Tamilnadu and gold medal in three events of karate black belt - Individual Kata, Team Kata and Kumite. Our school participated in the TIMES NIE schools Super League- Round 1 competition in the Junior and Senior categories. School toppers Reham Nizar Ahamed of VI B and Mohamed Afzal N A of VII A they received LENOVA TABLETS and School bags bases in their category. 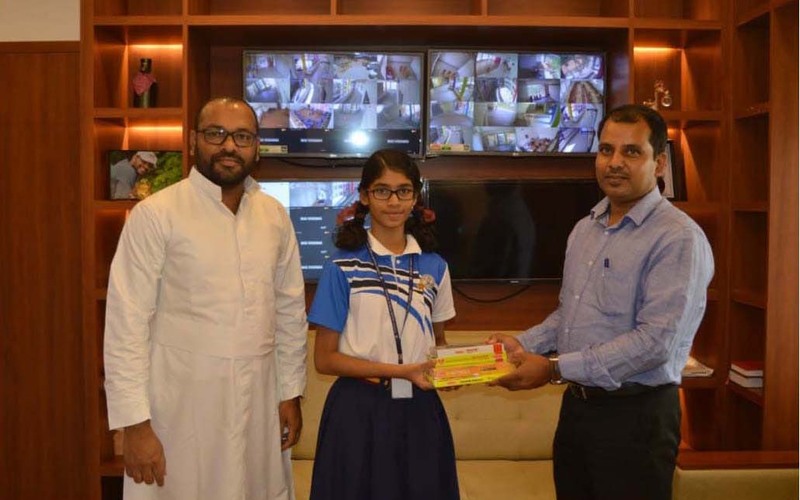 Grade topper Swaliha S of V A was presented with a bag. Pardhip K Dileep of Class VII A and Devananda B of Class VI B of Christ Nagar Public School, Attingal interacted with the renowned writer of Childrens books and author of the popular "Butterfingers" series. She spoke to them about the wonder and magic of books and her experiences. It was an exhilarating experience for the two Christ Nagarians.